It has been Dr. Bartlett's burning desire for many years to push the envelope until he came up with a teachable system that people from all walks of life could use for themselves, not just a few select or "gifted" people. Not just health practitioners but people with no previous experience as well. Dr. Bartlett worked to develop a system that produced observable and verifiable changes and which could be taught to others as easily as any other life skill. Matrix Energetics encompasses a new state of mind, a new way of looking at the world we live and breathe in, and a new way of reaching out to new possibilities, a consciousness shift. According to modern physicists, all reality can be described as vibrations and waveforms where everything is light and information. We chose the "matrix" name because we enter into a unique morphic field when we do this work. One can imagine it much like a lattice of information, and one learns to reach into the lattice and change that information. Often in a seminar the unconscious mind is the student and the logical mind has to take a breather. Then the logical mind gets its time to be happy as we explore the science behind the "magic." Matrix Energetics is dedicated to bringing this new consciousness shift and personal power of transformation and healing to as many people as possible. Dedicated to showing people how to access new possibilities. When people can observe and see for themselves verifiable physical changes rapidly as happens when using Matrix Energetics, it helps them to accept these new possibilities and makes it real for them. That is why so many tell us their whole world is transformed after a seminar. Participants not only see (and feel) the doctors, assistants and repeat experienced attendees in the seminar using the work successfully and making observable changes, but fellow "first timers" all around them are also experiencing this phenomenon and creating a wave in others. This helps all to experience the transformation process better and creates a morphic field in the room that allows for learning breakthroughs. People come away transformed because they "own" these new possibilities --- they have had a personal experience with them. We are watching this hologram unfold as the morphic field of Matrix Energetics grows and expands. It's humbling, it's fun, as well as very exciting. It continues to transform all of us as we learn together how to step out of the way and embody the consciousness of possibility. We call this work "the art of virtual transformation" because its focus is all about how to get outside of the limiting ego based concept of "I, as the doer" into the mind-expanding awareness that recognizes that "it is being done through me." Here at Matrix Energetics we are excited and pleased at all the good feedback we continue to get from people using this work. It is the reason we teach and look forward to teaching. We are often told by people who have taken our seminar that their world has been transformed and they will never be the same. Dr. Richard Bartlett, DC, ND, author of Matrix Energetics©: The Science and Art of Transformation and The Physics of Miracles (Atria Books/Beyond Words), and The Matrix Energetics© Experience (Sounds True), teaches Matrix Energetics©, a consciousness technology that shatters preconceptions of the seemingly “solid” universe and how unlimited our potential to change it truly is. If you are ready to embrace a reality where anything goes, miracles happen and nothing is beyond your reach, then you are ready for Matrix Energetics©. 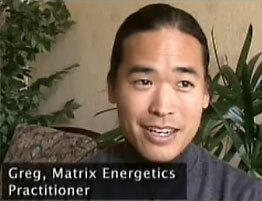 A note to practitioners: Matrix Energetics© is a powerful stand-alone system but it also easily works with other modalities such as massage, body work, chiropractic, acupuncture and any other system of healing both traditional and modern.